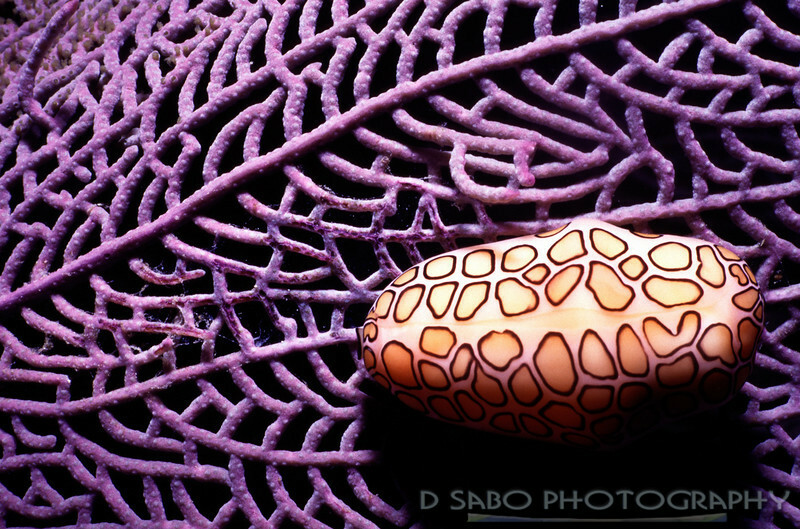 "Flamingo Tongue" This flamingo tongue (a small sea snail) was found out on a purple sea fan during a night dive. The leopard spots is actually a layer of the snail's living tissue which is on the outside of the shell. This tissue works like a fish's gills, exchanging oxygen and carbon dioxide with the water so the snail can breathe.